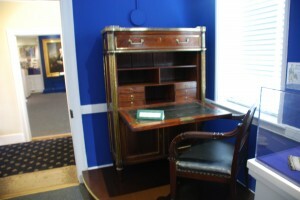 Front view of the James Monroe Desk. The Monroe desk was used by James Monroe throughout his presidency.2 He wrote his seventh annual message to Congress on this desk, which he delivered on December 2, 1823. Included in this message was the Monroe Doctrine. This section of his address set the standard for the United States foreign policy in the Americas from that point on. It stated that any European attempts to colonize lands in either North or South America would be seen as acts of aggression on the United States.3 Although significant at the time, the Monroe Doctrine fully came into effect when the United States gained enough military power to enforce it later in the nineteenth century. 1. The White House, “History,” The White House, http://www.whitehouse.gov/about/inside-white-house (accessed March 13, 2014). 2. The James Monroe Museum and Memorial Library, “Monroe Doctrine Desk,” Object report, accessed Feb 26, 2014. 4. Rick Vogt, “A Conservation Collaboration the James Monroe Gilded Ceremonial Armchair,” Magazine Antiques 177 no. 2 (March 2010): 81. 5. 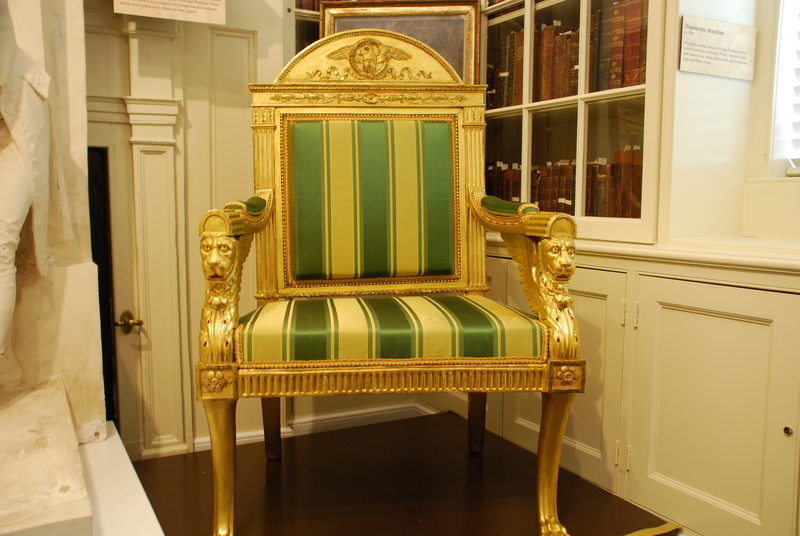 The James Monroe Museum and Memorial Library, “Chair,” Object report, accessed Feb 26, 2014.